0 Comments Published by Cedric Benetti on Thursday, April 1, 2010 at 4/01/2010 01:00:00 PM. 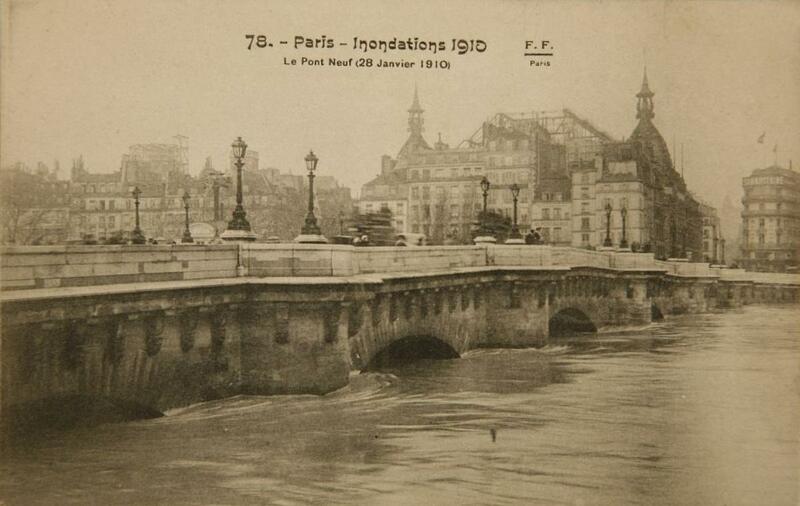 Good old Paris in January 1910 after months of rainfall and a very snowy winter leaving the city heavily flooded . 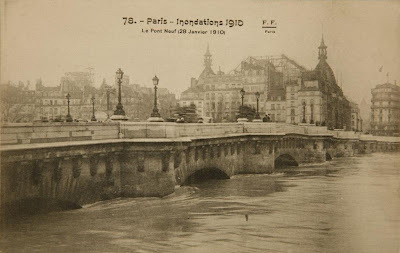 You can see the old art-nouveau style Samaritaine with its towers behind the first row of houses fronting the Seine and Pont Neuf. Check out this website created by the Mairie de Paris for the occasion.